I've had my Detolf glass cabinet from IKEA ever since I moved into my new flat. This was one of my priorities - get a nice, functional cabinet to showcase my works. And it worked... for a while. My "man cave", or rather a room in which I work and paint is not a large one. As such, the cabinet fits right between a bookshelf and a desk. 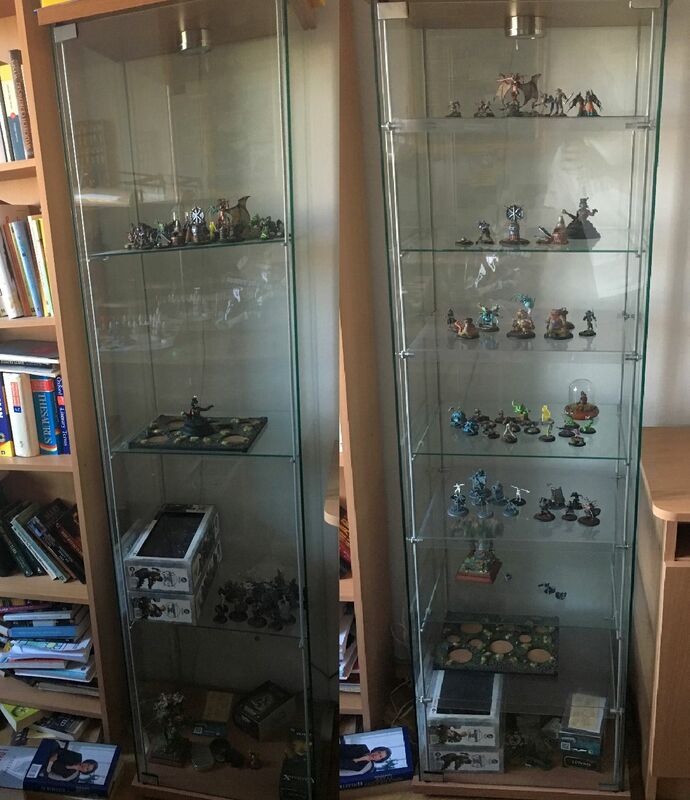 There a 4 shelves (if you count the bottom one) and plenty of space inside. 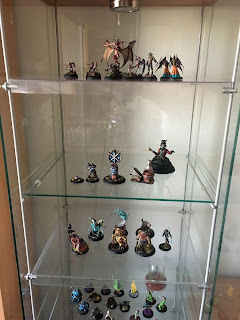 The trouble is, after a while it got to the point when I simply added more finished models to the upper shelves, while keeping the unpainted ones on the lower ones. As a result, it turned into a colorful mass of models without any coherence. Simply put, one tall column of chaos. Definitely not the way I wanted to present my works. Fortunately, I was able to find an easy way to fix the problem; A-Space. 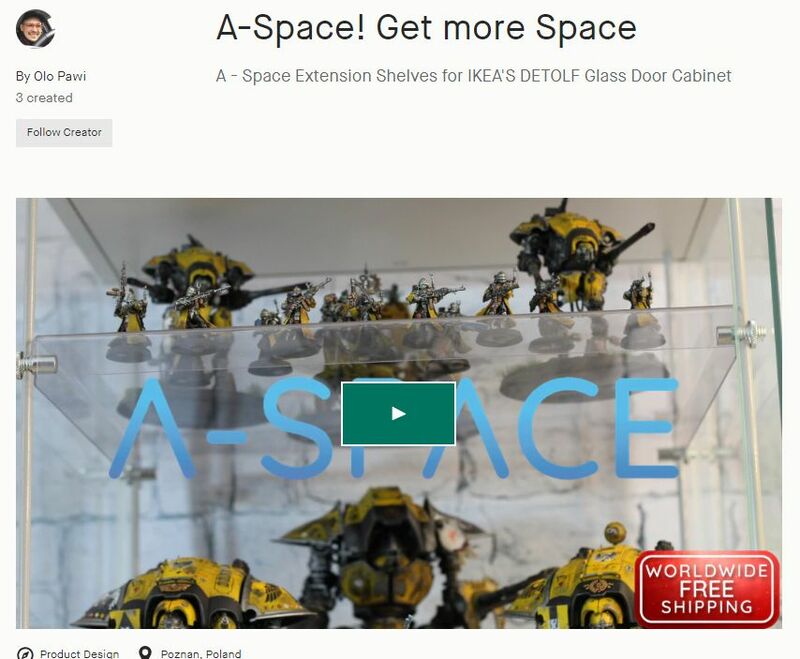 A perfect solution from a company that successfully launched their A-Case campaign a while ago (I reviewed that one on my blog). 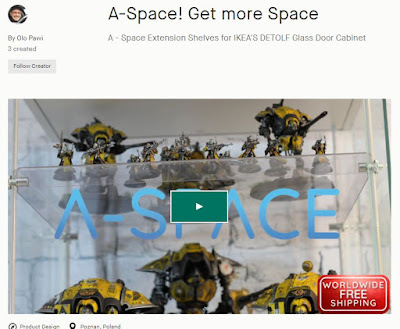 It's so simple, you basically get 4 custom made transparent shelves with 16 pieces to fix them in place inside your Detolf. The difference is huge. 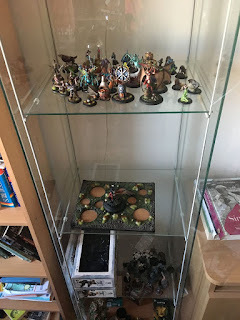 I was able to organize my minis thematically without losing any aesthetic value. The installation was simple and straightforward. Putting the first extra shelf in place took me about 5 minutes, and I needed less time for next ones. One thing worth mentioning is that the extra shelves keep the whole thing more stable. I have two small kids (as evidenced by the mess on the bookshelf which is often their playground area), and the whole thing used to shake when they ran pasy it. That's no longer an issue as extra connections points made the cabinet more stable. 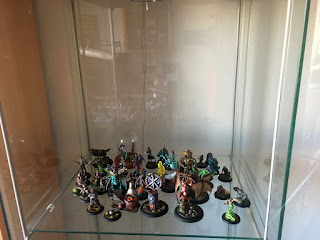 Wrapping things up - if you have Detolf glass cabinet at home, it means you have a great hobby and want to proudly showcase your collection. 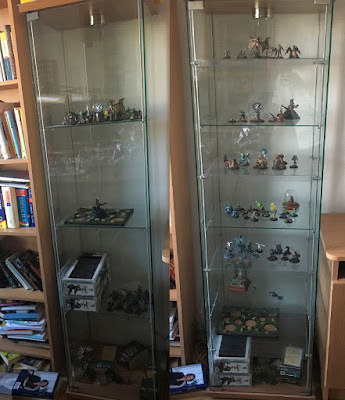 And if you're a collector you're bound to run out of space at some point. Don't wait for that moment, grab your set at Kickstarter now.